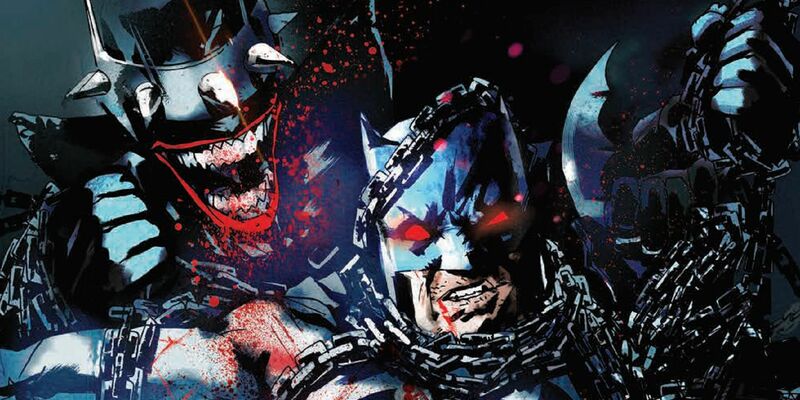 WARNING: The following article contains major spoilers for The Batman Who Laughs # 3 by Scott Snyder, Jock, David Baron and Sal Cipriano, on sale now. In The Batman Who Laughs 'first issue, Batman took a faceful of Joker toxin after the Joker attempted to commit suicide. The Joker's twisted intent was to give Batman the means to defeat his Dark Multiverse alter ego the Batman Who Laughs. While Batman and Alfred were able to save the Joker's life, the toxin has already made its sanitation mark on Batman. In last year's The Batman Who Laughs one-shot by James Tynion IV and Riley Rossmo, Batman began his tortuous path to darkness in and similar less. Exposure to the Joker's airborne toxin immediately after his death transformed into this deadly, Jokerized incarnation of himself. On Earth-22, though, this was in the aftermath of the Joker's destruction of Gotham, his murder of Jim Gordon and the ghostly transformation of several orphaned children into his twisted minions. These events led the Batman of that world to commit an unthinkable act of his own: Killing the Joker out of intense anger from his foe's terrible actions. The Batman or Earth-0 has never faced this level of trauma at the Joker's hands. The Dark Knight of this dark world is one who was just broken by his worst enemy. The Batman who's transforming into this new incarnation of Batman Who Laughs isn't a killer, and he's not a broken man. The original Batman Who Laughs was a victim of the Joker's toxin, while our Batman has instead chosen to use it to empower himself. Earth-22 Bruce suffered the consequences of the Joker's final actions – Earth-0 Bruce seeks to reap the benefits. The original Batman Who Laughs was a product of the Dark Multiverse. As the character has stated, the worlds of the Dark Multiverse "are wrong to their core." Those worlds are "destined to die," as well as they say, but while they live, evil always seems to win. Not so in the regular multiverse – the morally-opposite Earth-3 notwithstanding. This new Batman may have an origin rooted in his worst enemy and bear horrible similarities to his new foe, but he was born here in the "bright" multiverse. And that's the difference. Our Bruce isn't going down a villainous path, he's just made a heroic sacrifice. At potentially giving up who is to defeat a terrifying enemy, he's proven once again that, despite the outward facade of darkness, Batman is nothing short of a hero. And in this multiverse, the heroes always win. The good Batman Who Laughs is gearing himself up to go against the bath. The Batman Who Laughs # 4 goes on sale April 10.